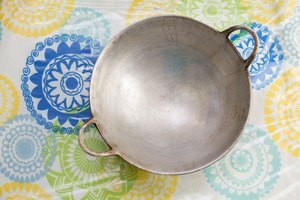 If you own an enameled or nonstick paella pan, you don't have to season it. If you have a carbon steel pan, then you will need to season the pan for it to cook food properly. Seasoning a paella pan can be done either in the oven or on the stovetop. 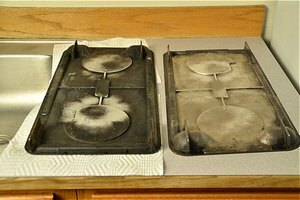 Once seasoned, the pan will require some routine maintenance each time you use it, but should last for many years. Wash and dry the paella pan. If the pan is new, place the pan on the stovetop and fill it with water. Boil the water for 10 minutes to remove any manufacturing oils, dust and glue residue from the pan. 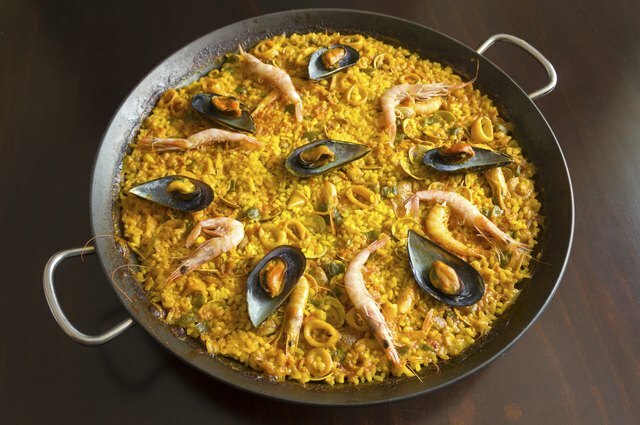 Apply a thick layer of cooking oil to both the inside and outside surfaces of the paella pan. Place the pan in the oven and cook for 30 to 35 minutes or until the pan has a golden color. Remove the paella pan from the oven, using potholders, and allow it to cool before using. Wash and dry the paella pan. If the pan is new, boil water in it for 10 minutes to remove residues. Wipe the inside of the paella pan with a heavy coating of cooking oil. Place the pan on the stovetop and turn the heat to medium. 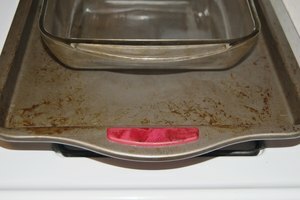 Use potholders to turn the pan on the stove top until it is a consistent golden color all over. Remove the pan from the heat and allow it to cool before use. Always apply a thin coat of oil to the pan after washing. This will help keep it protected from rust. If you use soap to wash your paella pan, it will need to be reseasoned because detergent will remove the existing seasoning. Over time, the paella pan will develop a dark, nonstick film if cared for properly. Reseason your paella pan if foods begin to stick to the pan.